Children in Need is vast approaching and the main focus this year is to raise awareness of people living with a disability. Last week, St. Mark's Junior School had a visitor, a good friend of Miss Richell, Jennie Goodrum, who came in to speak to our pupils about growing up with a disability and being reliant on using a wheelchair. 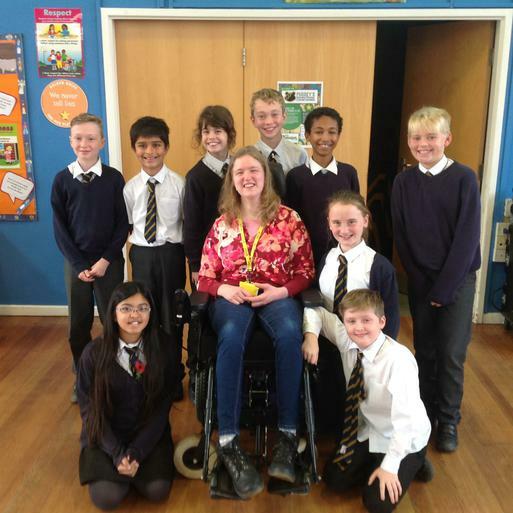 Jennie spoke to the whole school about growing up with Cerebral Palsy and her experiences. She also spoke very passionately about how we should treat someone with a disability, the same as everyone else! Our pupils listened impeccably and the visitor-led assembly was a real success. Thank you Jennie, we welcome you back at any time!